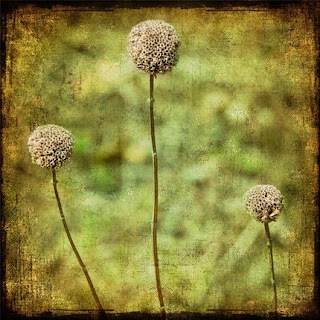 Backbone Studio features the fine photographic artwork of owner Viola Joyner. Always striving to learn new techniques helps this professionally trained artist keep her ideas fresh, even after ten years as a photographer. Viola's mission is for you to find something that you would want to look at everyday in your home or office. Take a look at some of her work and I am sure you will have no problem finding something perfect. This would make a perfect photograph for an office. 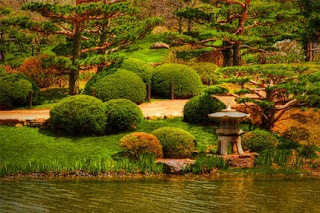 The tranquil zen garden would make the frantic work day seem a little less stressful. 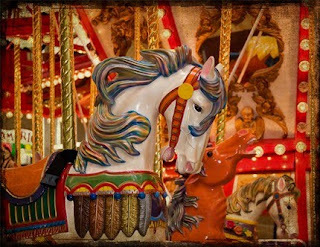 Children and adults alike would appreciate the sense of nostalgia that the Merry Go Round provides. A texturized finish gives this garden landscape a vintage appeal. 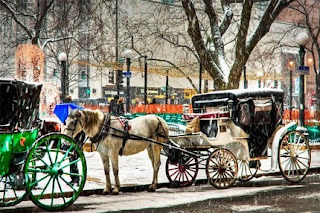 Doesn't a carriage ride in the snow flurries sound like a perfect winter outing? I'll answer that for us all, yes it does! On a side note, check out each of the listings at Backbone Studio for more information. There are different papers, sizes and even matting that can customize your order. Information on prices for additions are available at Viola's shop. This week the winner gets to choose their own prize! If you are the lucky winner you will receive a free 5 x 7 of your choice of any of the photographs at Backbone Studio. 1. Check out Backbone Studio, come back here and make a comment on your favorite photograph and you will get one entry. 2. Be or become a follower of this blog and you will get another entry. Entries will accepted until midnight Friday. Check back this weekend and see if you are the winner! Good luck to all! I love the Zen Garden. It looks so peaceful. Congratulations to you Belinda for choosing and winning "Peaceful View" print as your favorite.